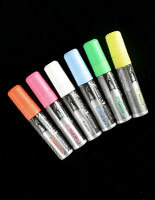 These Fluorescent Markers Come in A Six Pack. 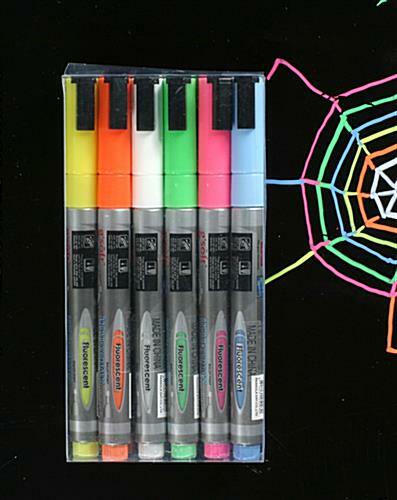 The Neon Pens in This Kit are Blue, Green, Pink, Yellow, Orange and White in Color. 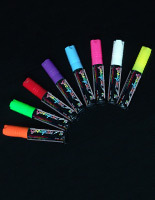 These fluorescent markers a thin tipped. 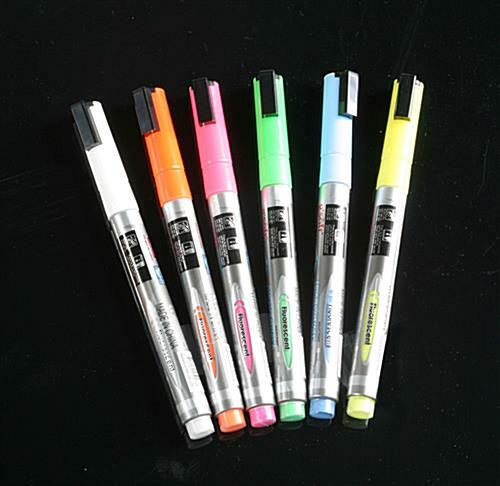 The bullet point on these neon pens measures in a just 1/16 of an inch. 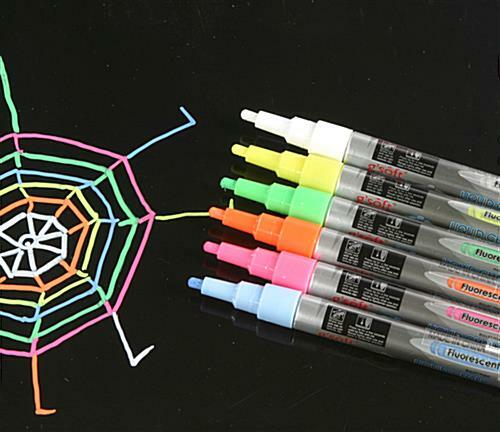 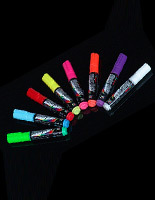 The fluorescent markers, also known as liquid chalk pens, are sold in packs of six. 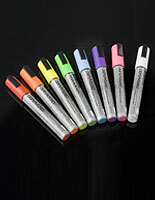 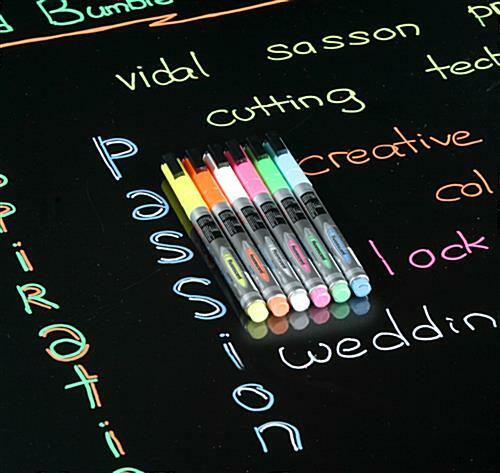 This set of wet erase pens come in blue, green, pink, yellow, orange and white. 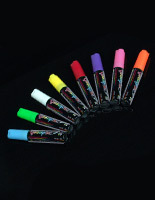 Fluorescent markers are ideal for use with many of our spin to win gaming products. 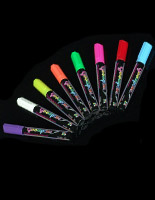 Order by 1pm EST and we ship these bright sticks out the same day.